Where to stay, what to eat, and what to do in 24 hours in Chicago. The Windy City is one of those places that you have to visit and see if you are visiting the United States or traveling throughout. This was my second time visiting Chicago and since it was such a short trip, I did and saw what I thought was necessary during my 24 hours there. My favorite things about Chicago are their deep dish pizza, Lake Michigan views, and some amazing shopping! I was fortunate enough to partner with the Waldorf Astoria during my one night stay. The Waldorf had recently undergone an amazing renovation. The Waldorf Astoria is in the most perfect location, just steps away from beautiful shopping and amazing restaurants. Their spacious rooms, beautiful spa and gym facilities made me feel like a princess right at home! Portillo's Hot Dogs - Original Chicago Dog is a MUST. UNO Pizzeria - Original Deep Dish is the BOMB. Eataly - The Nutella Bar is awesome and their sorbets and gelato are my favorite! Margaux - Inside the Waldorf Astoria, upscale restaurant perfect for a date night! Au Cheval - The best burger I have ever eaten and their Fois Gras scrambled eggs will blow your mind. The Bean or better known as Cloud Gate - Oversized bean near Grant Park that makes for the perfect photo op! Chicago360 - Viewsite with 360 views of the Chicago Skyline. Michigan Avenue - All the shopping you can imagine, from Apple, to Gucci, to H&M, etc. See a Cubs Game or a Bulls Game - I didn't get the chance since the Cubs were actually in LA, but I've heard that the energy at Wrigley Field is like no other. 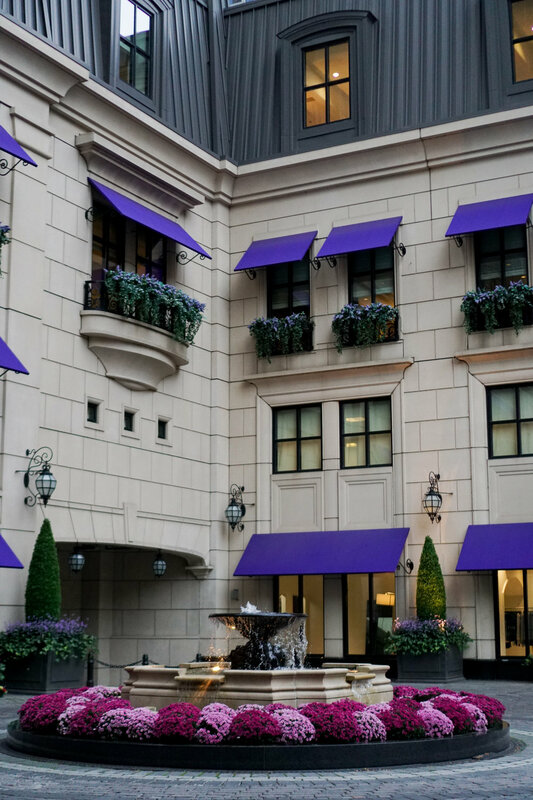 Walk around the Magnificent Mile Area - beautiful homes, shops, and sights.